On Friday, June 5, 1998. Your suffering is over, and now your free to roam the skies. We will miss you very much. 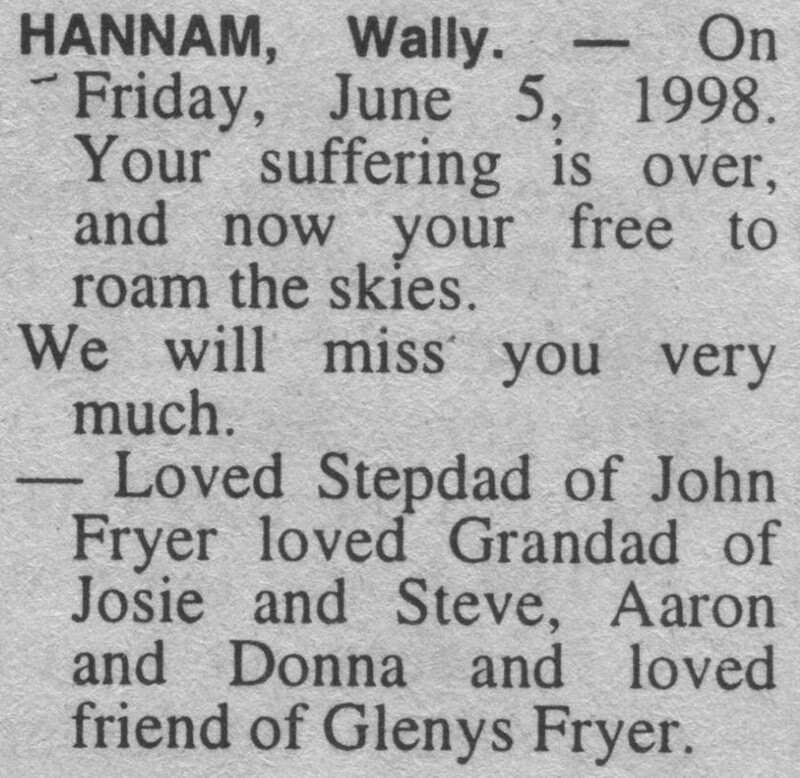 Loved Stepdad of John Fryer loved Grandad of Josie and Steve, Aaron and Donna and loved friend of Glenys Fryer.